HM Revenue and Customs are fully backing a police red alert about a cunning scam involving iTunes gift card voucher codes. Police have asked for their warning to be shared as widely as possible after one elderly man was fleeced by fraudsters earlier this week. The criminals claimed to be HMRC officials seeking to clear an outstanding debt. 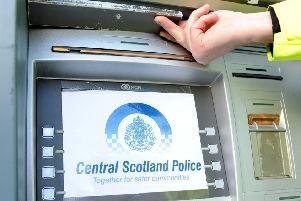 Known cases have seen people robbed of amounts ranging up to £15,000. A spokesman for HMRC, confirming the police advice, has said the tax man will never ask for cash in this way. Victims are being contacted in a variety of ways by the bogus tax men, but in most cases they ask for a payment for money owed in iTunes gift card voucher codes. This is because these can be easily redeemed and sold on. The criminals don’t even need the card to redeem the value, and merely have to get their victims to read out the serial code on the back over the phone. HMRC’s spokesman says the i-Tunes scam is one of several variants which reoccur regularly, but warned that many people can easily be convinced by the way the caller phrases the “official” request. Voicemails: Fraudsters are leave victims automated voicemails saying that they owe HMRC unpaid taxes. When victims call back on the number provided, they are told that there is a warrant out in their name and if they don’t pay, the police will arrest them. Spoofed calls: The criminals cold call victims using a spoof number and convincing them they owe unpaid tax to HMRC. Text messages: The crooks send text messages that require victims to urgently call back on the number provided. When they call back they are told there is a case being built against them for an outstanding debt and they must pay immediately. One victim had reported purchasing over 15 iTunes gift card vouchers from a shop at £100 pounds each and handing them over to fraudsters on the phone after receiving an automated voice message. Another handed over gift card voucher codes worth £15,000 after receiving a cold call. Police, backed by HMRC, stress that HMRC will never use texts to tell you about a tax rebate or penalty or ever ask for payment in this way. Telephone numbers and text messages can easily be spoofed, and you should never trust the number you see on your telephones display. If you receive a suspicious cold call, you should end it immediately. Police are meanwhile also appealing to local shop staff that if a customer, particularly elderly, enter their premises to purchase a large quantity of such vouchers that they voice their suspicions immediately - and if necessary call police via 101.